The Marshes of Glynn Service Unit (MOGSU) serves nearly 500 girls in Glynn, McIntosh & Brantley counties. 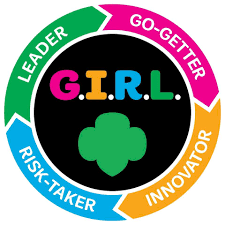 Our aim is to provide leadership and program opportunities for girls that enrich their lives and hold true to the Girl Scout Promise and Law. Come join us and see what it is all about! On my honor, I will try: to serve God and my country, to help people at all times and to live by the Girl Scout Law. Want to Join Girl Scouts? Submit form below.